CLOSEOUTS. 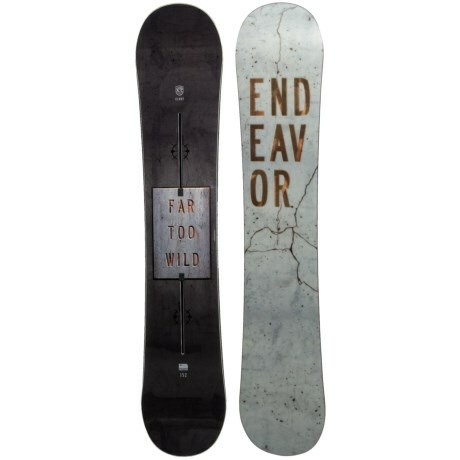 Endeavorand#39;s Clout Series snowboard is constructed from E-Tech IV and a 3D camber with raised contacts that allow it to ride fast and smooth, and jump high. Available Colors: SEE PHOTO.